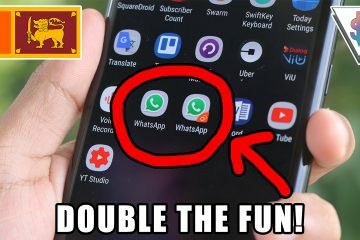 If you’re from Sri Lanka, you would are probably think it’s cool to use our Mother Language Online, especially on Social Media Sites like Facebook. 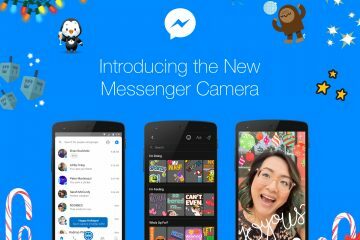 So in this How To, let me show you how to use Facebook in “සිංහල”. 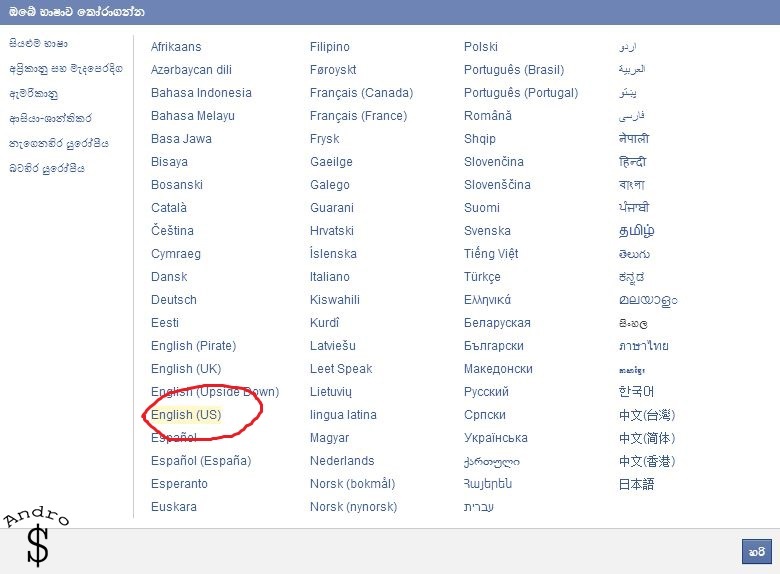 Facebook recently added, “සිංහල” to it’s language list. So what you have to do to enable “සිංහල” is pretty simple. 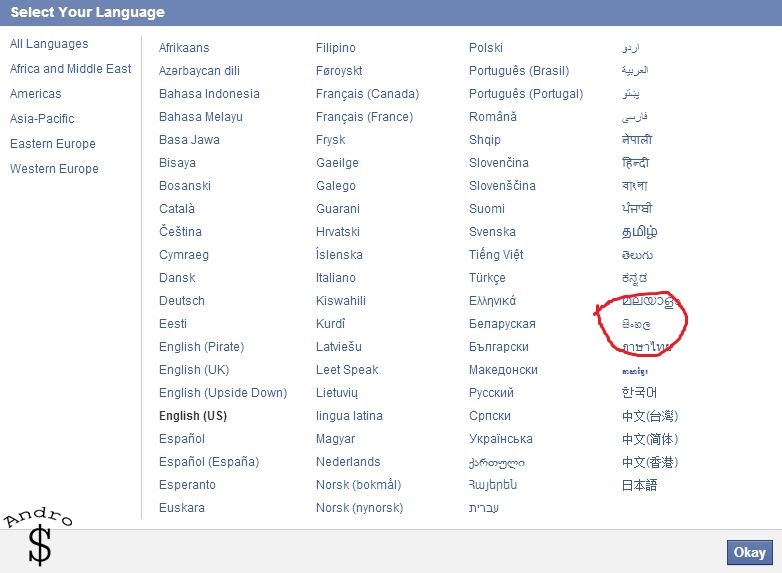 Just Open Facebook and Click on the Language option. By Default it’s in English (US). You need to now select “සිංහල” from the list. 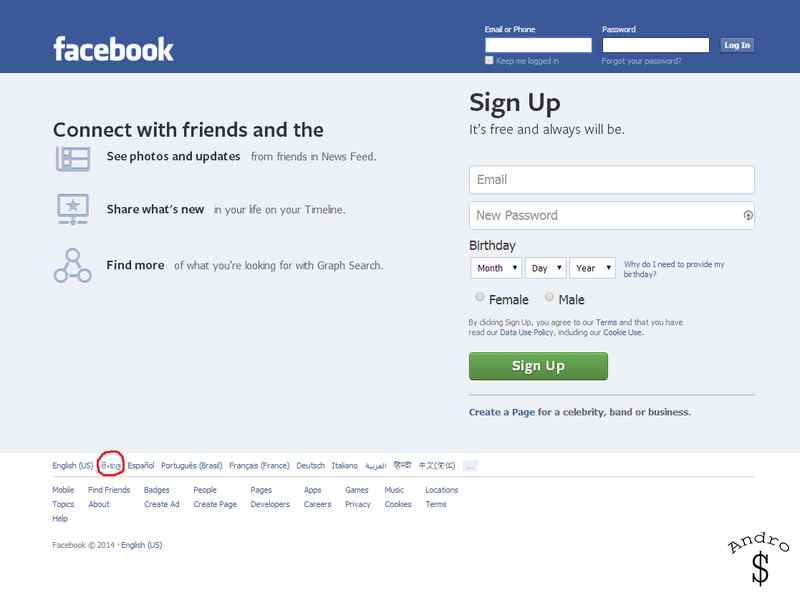 Check out the Sample Images, from the Facebook Login Screen and Inside Facebook on How To Enable Sinhala. Select the Launguage you have Enabled, By Default it is English (US) by clicking on it. Now Select “සිංහල” From the Language Menu. 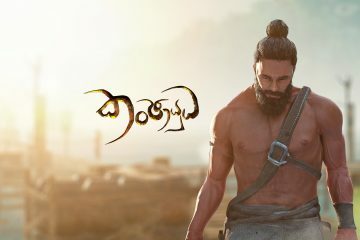 Now that you have Enabled “සිංහල” most supported things will be in “සිංහල”. This will take some time for you to get used to, but if you are familiar with the “සිංහල” terms then this will be great. Want To Go Back to English? As you assumed this is also easy as 123. Just Re-Select your language, in this case it will be “සිංහල” Since we changed it. So select “සිංහල” from the menu and Select English (US) from the List. 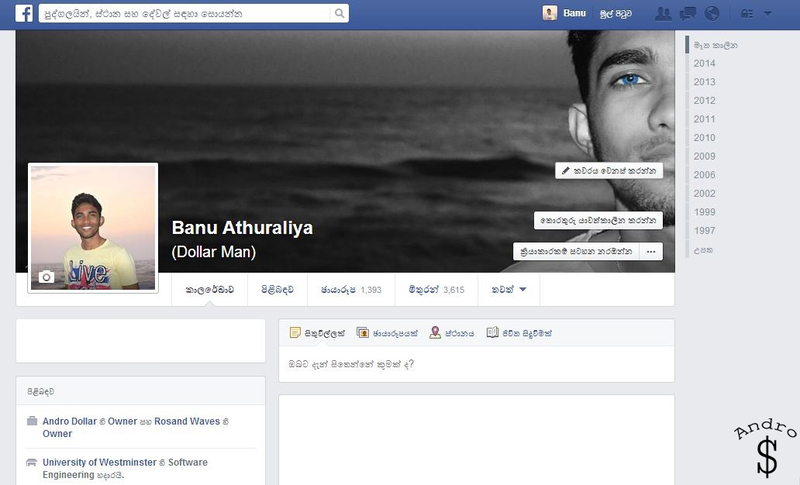 That’s it guys, Now you know how to use Facebook in “සිංහල”. 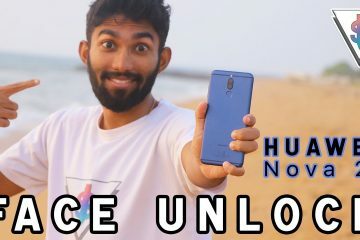 Now in-case you’re wondering How to Type in Sinhala, you can checkout my Tutorial on How to do that. 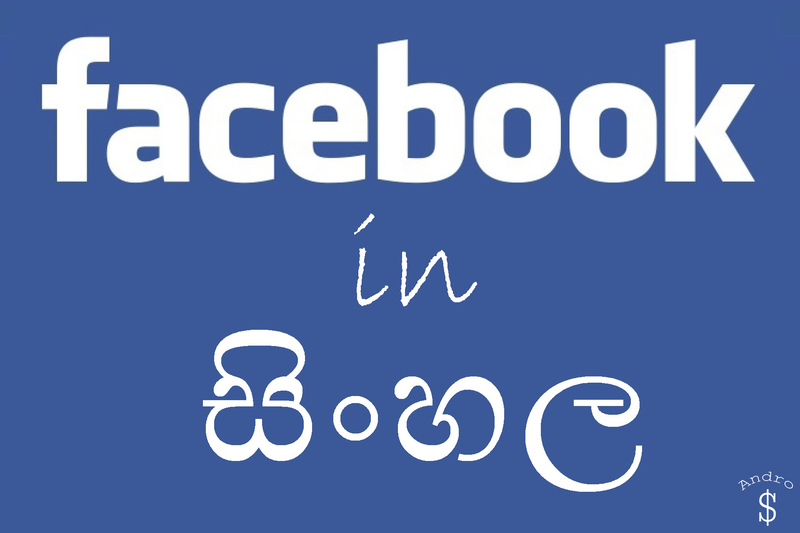 Credits – Facebook in සිංහල is possible because guys like Pasindu Kavinda is working on it. 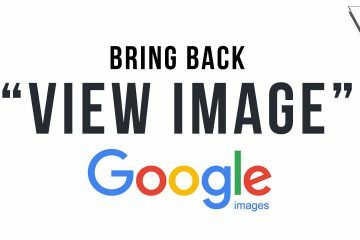 So Big Thumbs up him, and all the developers working on it. 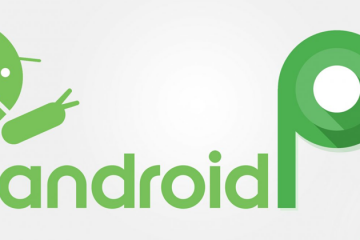 Let us know how it went for you, and Stay Tuned to Andro Dollar for More exclusive content.